Day2 (Main): 10 people only! 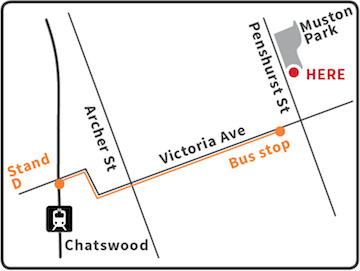 Book both events and try 4 kinds of Mochi!! 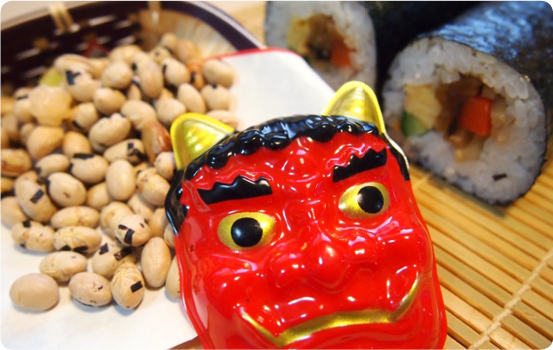 On February 3rd, people in Japan celebrate Setsubun, the coming of Spring. 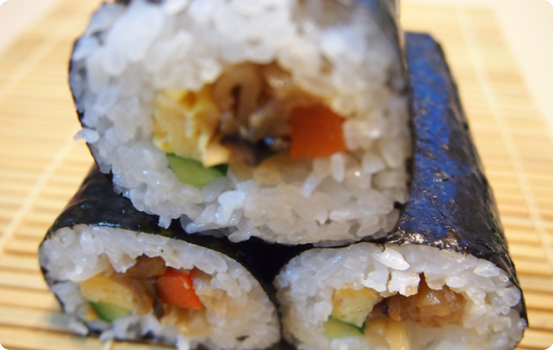 Special sushi rolls called eho-maki are eaten while facing the auspicious direction for that year. After dinner, roasted soy beans, or iri-mame are thrown out the front door of the house to cast out demons (oni), disease and bad fortune, and welcome spring and and a new year of good fortune. Setsubun is associated with The Chinese New Year, or Lunar Calendar which was used for centuries in Japan, so this celebrates the new year as well as the coming of Spring. It is still an important event in Japan. Setsubun properly refers to the day before the coming of any of the four seasons, so, this is actually, Risshun, spring Setsubun. 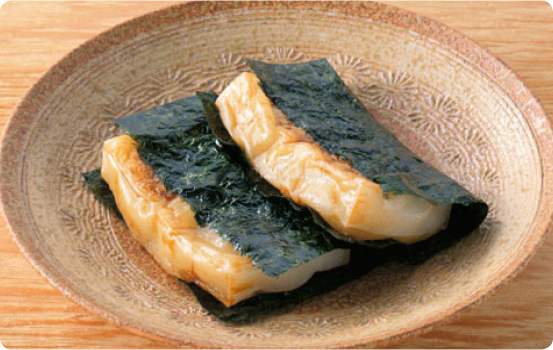 Setsubun dinner is a simple meal of sushi rolls (makizushi). The proper way to eat this dinner is to face a certain direction, this year it was south-east, and eat the entire sushi roll without stopping. Don’t speak, just make your wish! This takes longer than you might think, so you have time to wish a lot! 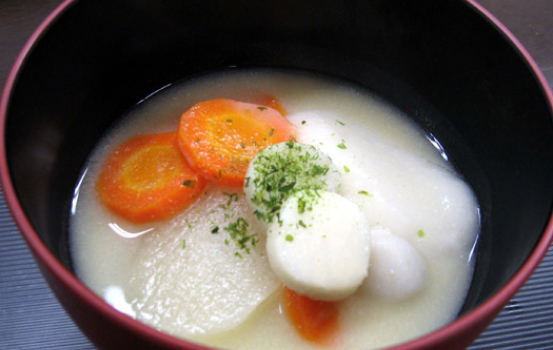 Traditionally, mochi was made from whole rice, in a labor intensive process. The traditional mochi-pounding ceremony in Japan is “mochitsuki”. 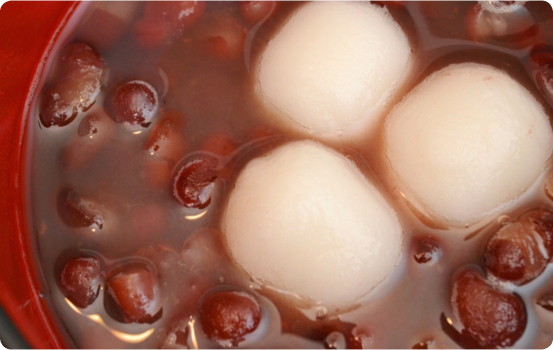 Polished glutinous rice is soaked overnight and cooked. 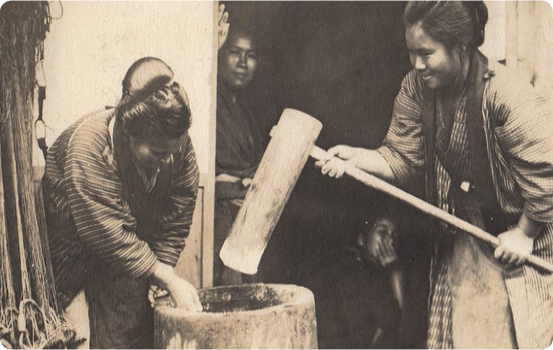 The cooked rice is pounded with wooden mallets (kine) in a traditional mortar (usu). Two people alternate the work, one pounding and the other turning and wetting the mochi. They must keep a steady rhythm or they may accidentally injure one another with the heavy kine. The sticky mass is then formed into various shapes (usually a sphere or cube). 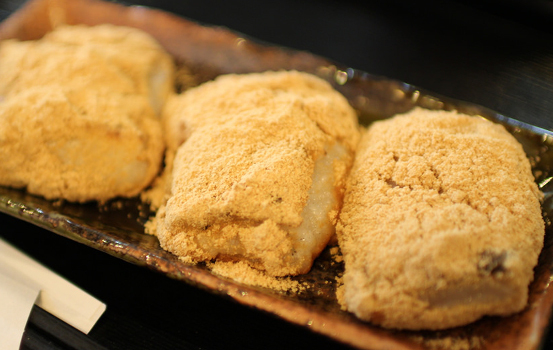 Mochi can also be prepared from a sweet rice flour (mochiko). The flour is mixed with water to a sticky opaque white mass that is cooked on the stovetop or in the microwave until it becomes elastic and slightly transparent. Day2 (Main): 10 peole only!